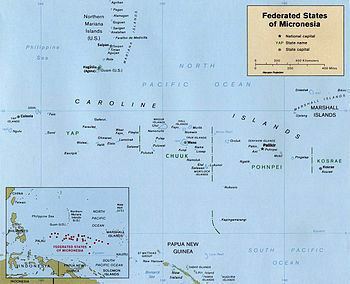 The Federated States of Micronesia (; abbreviated FSM and also known simply as Micronesia) is an independent sovereign island nation and a United States associated state consisting of four states – from west to east, Yap, Chuuk, Pohnpei and Kosrae – that are spread across the Western Pacific Ocean. Together, the states comprise around 607 islands (a combined land area of approximately 702 km2 or 271 sq mi) that cover a longitudinal distance of almost 2,700 km (1,678 mi) just north of the equator. They lie northeast of New Guinea, south of Guam and the Marianas, west of Nauru and the Marshall Islands, east of Palau and the Philippines, about 2,900 km (1,802 mi) north of eastern Australia and some 4,000 km (2,485 mi) southwest of the main islands of Hawaii. Economic activity in the Federated States of Micronesia consists primarily of subsistence farming and fishing. The islands have few mineral deposits worth exploiting, except for high-grade phosphate. Long line fishing of tuna is also viable with foreign vessels from China operated in the 1990s. The potential for a tourist industry exists, but the remoteness of the location and a lack of adequate facilities hinder development. Financial assistance from the U.S. is the primary source of revenue, with the U.S. pledged to spend $1.3 billion in the islands in 1986–2001; the CIA World Factbook lists high dependence on U.S. aid as one of the main concerns of the FSM. Geographical isolation and a poorly developed infrastructure are major impediments to long-term growth. Most Micronesians are Christian. Several Protestant denominations, as well as the Roman Catholic Church, are present in every Micronesian state. Most Protestant groups trace their roots to American Congregationalist missionaries. 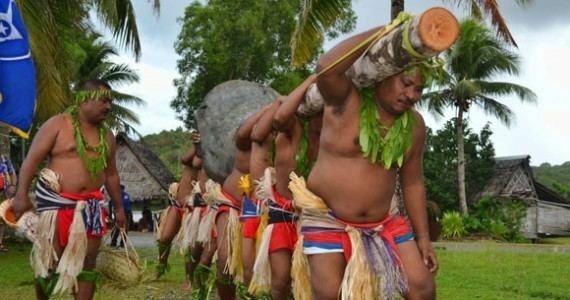 On the island of Kosrae, the population is approximately 7,800; 95 percent are Protestants. On Pohnpei, the population of 35,000 is evenly divided between Protestants and Catholics. Most immigrants are Filipino Catholics who have joined local Catholic churches. The Filipino Iglesia ni Cristo also has a church in Pohnpei. In the 1890s, on the island of Pohnpei, intermissionary conflicts and the conversion of clan leaders resulted in religious divisions along clan lines which persist today. More Protestants live on the western side of the island, while more Catholics live on the eastern side. Missionaries of many religious traditions are present and operate freely. The Constitution provides for freedom of religion, and the Government generally respected this right in practice. The US government received no reports of societal abuses or discrimination based on religious belief or practice in 2007. Pohnpei is notable for the prevalence of an extreme form of color blindness called Achromatopsia, and known locally as maskun. Approximately 5% of the atoll's 3000 inhabitants are afflicted. 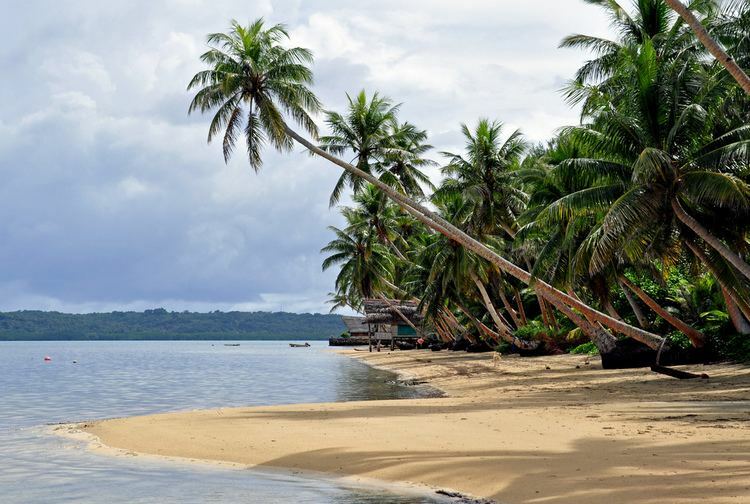 There have been few published literary writers from the Federated States of Micronesia. In 2008, Emelihter Kihleng became the first ever Micronesian to publish a collection of poetry in the English language.